Hey Siri, What Is Hot Tub Aromatherapy? Have you ever heard of aromatherapy? Many people use incense and essential oils to create scents that can help them in a number of different ways. In addition to using scented candles, wax warmers, and other tools to make your home smell great, you can also combine your aromatherapy with a session in your hot tub to get twice the benefits. But before we look at that, it’s important to understand what aromatherapy is and how you can benefit from it. 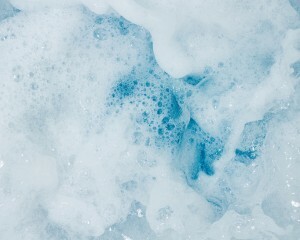 What Causes Hot Tub Foam? It’s been a long day and you are dying for a dip in your hot tub. But after removing the cover, you discover a layer of foam on the top of the water. Can you hop in anyway? Unfortunately, finding foam on your hot tub means a relaxing soak is out of the question. Written on Thursday, January 17, 2019. 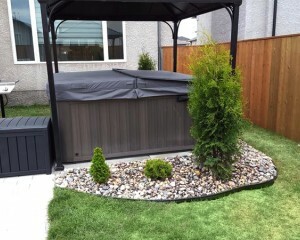 Your hot tub is a great place to relax and let the stresses of the day ease away. The jets create a soothing atmosphere, with a wonderful combination of bubbling warm water and weight-lifting buoyancy. This comfortable environment can create the perfect place for exercise, especially for those who suffer from arthritis, aches and pains, or who are recovering from an injury. Many modern hot tub brands, including Jacuzzi® Hot Tubs, Dimension One Spas, Sundance® Spas, and Nordic Hot Tubs™, are also perfect for low-impact exercise to burn calories and strengthen muscles – all from the comfort of your hot tub. Written on Thursday, December 20, 2018. Looking to make your house a home with the addition of a modern man cave? You aren’t the only one. Popularly known as a man cave, this room can also be referred to as the games room, rec room or TV room. That means it doesn’t just have to cater to the men of the house, but everybody who wants to kick back, relax, and have a little fun! Our experts here at Vintage Hot Tubs in Victoria and Langford have helped customers add to an existing games room and create a man cave from scratch, which is why we’ve put our heads together and created a list of the top five ideas to help you create the best man cave! Written on Tuesday, October 23, 2018. If you own a hot tub or are thinking of buying one, you might be familiarized with the term hydrotherapy. 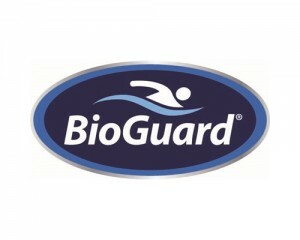 Hydrotherapy is widely used by healthcare professionals and hot tub owners all around the world. Generally, hydrotherapy is utilized for the many wonderful health benefits it offers. In this article, we’ve gathered just about everything you need to know about hydrotherapy and the many benefits it offers. Written on Monday, July 02, 2018. As a service to our customers, store visitors and community, Vintage Hot Tubs is happy to provide complimentary water testing and analysis of your spa/pool water. We have state-of-the-art testing equipment right in our stores in Victoria and Langford. Written on Sunday, July 01, 2018. Are you thinking about buying a hot tub? We can’t blame you! From improving your health and wellbeing, to enhancing your backyard and the value of your home, an investment in an outdoor spa can make quite an impact on your lifestyle. 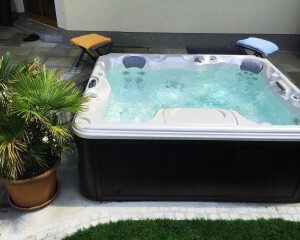 In this article, we’re going to take a closer look at the many perks of buying a hot tub. Read on to find out how you can benefit from this life-changing investment!